How many times have you missed an important phone call or not heard the doorbell while you’ve been blow-drying your hair? Does your partner groan as he climbs the stairs to tell you something important only to be greeted by incessant white noise? Do you constantly wake your children up too early because you’ve got up extra early to style your hair with the hairdryer? If you answered yes to any of the above (and most probably all of the above) then why don’t you take my advice and try a quiet hair dryer. Since I bought mine, not only does my hair look super fabulous, it’s allowed me to keep an ear out for anything else going on around me and it doesn’t disturb the rest of my family! We have included our top 3 choices below. A full review of each option follows further in the article. In fact, the low noise hair dryer even let my husband have an extra fifteen minutes in bed on those mornings I get up early to wash and dry my hair! What Actually Makes a Hairdryer Quiet? 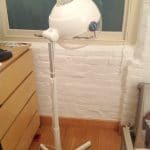 What Other Features Should I Look For In a Quiet Hairdryer? Well, as Dyson is the leading manufacturer for quiet hairdryers (and other technology too such as its famous vacuum range) let’s look at theirs for the technology behind the silence. The team at Dyson added extra blades to the internal motor of their quiet hairdryer. It’s this motor that generates the air flow (which is what creates the white noise). The team at Dyson found that using 13 blades rather than the standard 11, meant the sound of the motor went above the audible range for human ears. So, generally, that’s what quiet hairdryers do, they use an ultra-fast motor that creates a sound that human ears can’t hear. Clever! Have I persuaded you to try a quiet hairdryer? 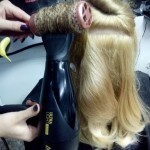 If so, then these are the other features you should look for to really get the best out of your hair dryer. I particularly like the Dyson Supersonic Hairdryer strong airflow that is angled as it delivers precise styling and drying. Not only is the Dyson quiet hairdryer silent, it is really fast so if you’re in a hurry, this one is definitely for you. It cuts styling time in half. Now, not all quiet hairdryers have this, but it’s worth looking out for and promises to deliver exact styling. 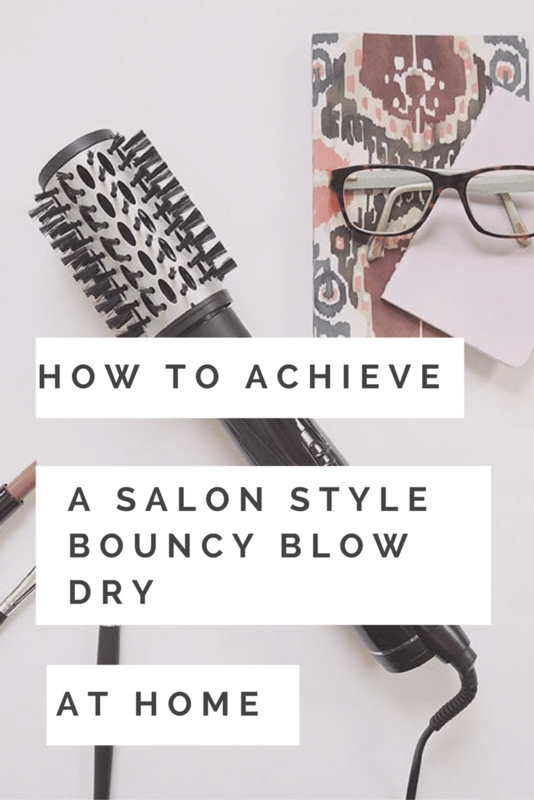 Other hair dryers emit heat that doesn’t just blow dry the area you’re styling and that’s why you don’t get all the air flow concentrated on one area and that super-quick hair-drying action. Look for multi-attachments as these mean you can style your hair differently. That could be a nozzle, diffuser or styling comb. As most quiet hairdryers are quite expensive, you should definitely seek one out with the extra attachments. Obviously a diffuser gives you bigger hair with curls and plenty of bounce. A nozzle helps you to really direct the heat and the air flow and a styling comb is good for getting a tousled finish although, the Dyson delivers precise styling without the need for a nozzle. Look for an extra-long styling cord. 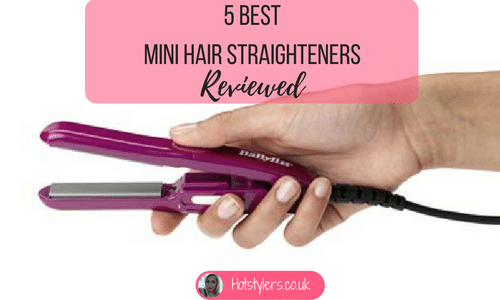 These are a must for any styling tool really and enable you to easily style all around your head without getting into uncomfortable positions! There’s nothing worse than trying to reach the back of your head without enough room to maneuver a hairdryer comfortably. Or to be positioned away from a much-needed mirror (often the case in hotel rooms). Seek out ionic technology as this is what you need to lock moisture into your hair while banishing frizz and flyaway. Most modern hair tools are ionic. If you live in a humid environment, there are lots of positive ions (positive charge) in the atmosphere. What ionic technology does is work faster to dry hair so the water molecules fall off hair very quickly. Basically, hair dryers with ionic technology take those positive ions and turn them into negative ions, so they remove the moisture that lies on each strand of hair and instead lock it inside the strand so your hair looks sleek and doesn’t dry with that flat, dull appearance. Ionic technology is excellent for you if you have fine hair too as it gives it a boost and creates body and life. Multi heat settings and multi speed settings. Two or three speeds should be sufficient but heat settings need to be low, medium and high so you use the right setting for your hair type. Remember, for fine, damaged, chemically treated or broken hair, keep heat low. For healthy thick hair you can raise the heat higher. A cool shot option is great for really setting your style and is a worthwhile feature. Look for something lightweight. If you have long, thick hair you don’t want arm-ache, so a lighter weight hair dryer won’t give you excessive wrist-strain. Also, when you travel, very heavy hair dryers will add extra weight to your luggage. The Dyson model offers amazing technology which includes an acoustically tuned digital motor for drastically lower noise. The intelligent heat control offers an ability precisely control heat to prevent heat damage to your hair. As a result, this makes it a particularly good option if you have fine or damaged hair. The air multiplier technology creates an extra high volume of air at a rate of 41 liters per second so you can dry your hair in less time. I really like the lightweight design, amazingly quiet design, and the included attachments. I’m a big fan of GHD. They have proven that they really understand hair. Their hair tools are very good quality and as a respected brand, they always deliver a superior product. 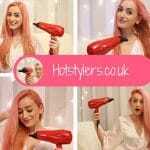 The Air Hairdryer includes ionic technology so there’s no risk of flyaway or frizzy hair and the variable temperature settings and power controls give you plenty of freedom to style as you need to. There’s also a cool-shot to set your hair. What’s particularly good about this model is it’s ergonomically designed for left hand users as well as right hand users which means it’s really comfortable to use. There’s also an extra-long cable so it’s easy to style the back of your head. Parlux is a very trusted American hair tools brand. In sleek black (although there are plenty of other eye-popping colours to choose from), this is the latest model and is very lightweight (no wrist ache!) with excellent airflow so it targets the area you want (rather than the surrounding area). Almost silent, it’s created with ceramic and ionic technology so delivers really sleek, smooth and shiny hair. It guarantees static and frizz free hair too. With two speeds and a cold-shot button it’s a really excellent all-rounder and one of my favorites. The very quiet (virtually silent) Panasonic EH-NA65 Hair Dryer with Nanoe technology delivers plenty of volume without frizz or flyaway. It also has a quick-dry feature and dual air flow so styling time is minimal. I like the three heat and three speed settings which mean you get control over your hair and this model comes with three different attachments, giving you flexibility on how you style your hair. Finally, there’s a cool shot so you can “set” your style and a very long 9 foot cord for easy maneuver. It’s good for minimizing damage as it’s gentle to use too and the Nanoe technology offers sleek, smooth and shiny hair that looks healthy with plenty of body. 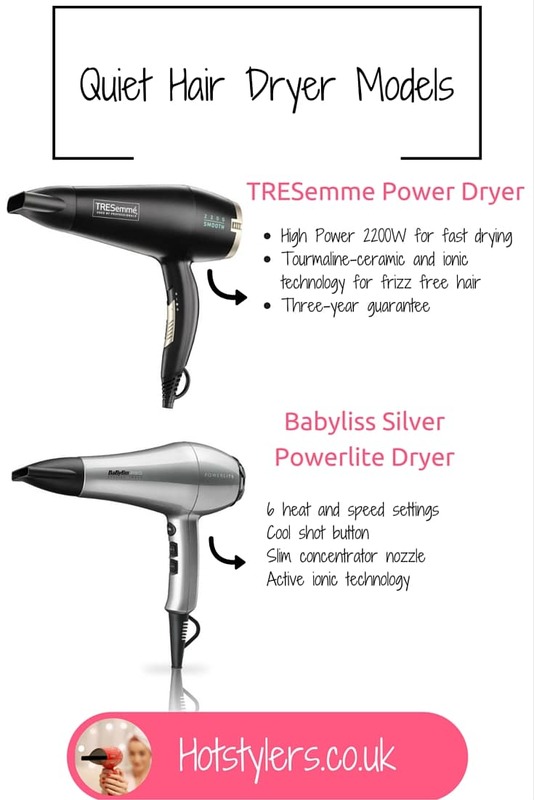 The first hairdryer I purchased was the BaByliss Silver Powerlite Dryer and I felt it was a good price for silence! Not only is it quieter than traditional hairdryers it’s also lightweight and easy on the wrist. I like the six heat and speed settings, the slower you go the quieter it gets so it’s almost silent. 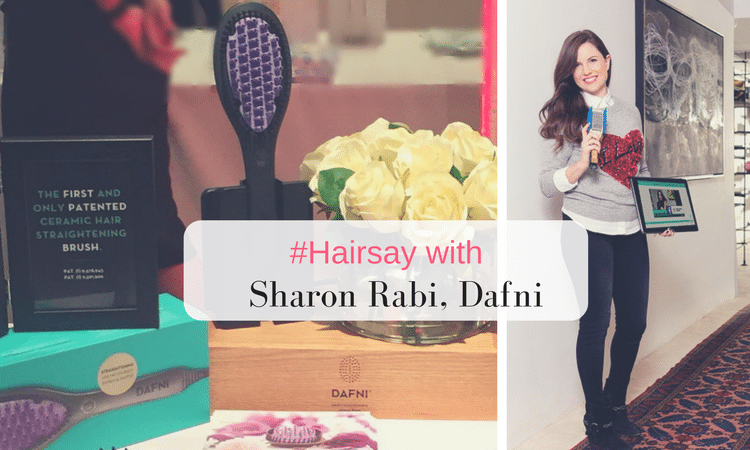 This hairdryer comes with ionic technology so you get a frizz-free and silky smooth finish. It’s also remarkably feminine in a hot pink colour, it’s just gorgeous! Don’t expect total silence but this model is half as loud as my old hair dryer and doesn’t disturb the whole house. I can also hear the phone ring and my kids shouting at me (although whether this is a good thing I’m not so sure)! It also gives me a salon quality blow dry and it’s fast so I think it’s worth the outlay. 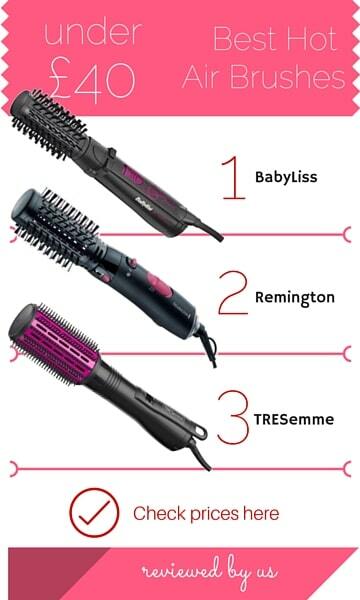 The Tresemme is very lightweight and it has a good, long power cable plus there’s control panel inside the handle so it’s very easy to operate. Despite its power, it’s relatively quiet so doesn’t disturb others around me when I’m using it. It only has two heat and speed settings which is the only negative, I would have liked more. On a positive it does have this special heat balancing technology using tourmaline and ceramic so you get even heat distribution. No more burning areas. The nozzle is well shaped and concentrates on the areas I’m blow drying perfectly. It’s compact, so when I go away this is the dryer I take with me. Top 5 Best Hair Straighteners – The Results Are In!